To fully appreciate the new northside development now referred to as the Bozeman Cannery District, one needs to learn about the role that the pea industry played in the economic development of the Gallatin Valley in the early 1900s. 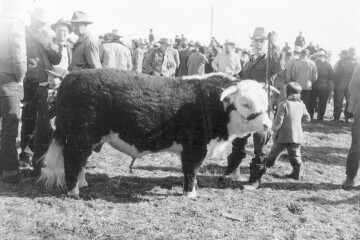 In late February 1911, Mr. Davis appeared before the Bozeman Chamber of Commerce and urged its members to lobby local farmers to grow peas for seed. That spring, farmers planted twenty-five hundred acres and that year’s harvest yielded twenty train carloads of peas for shipment east. The results of the first year’s planting were beyond the expectations of everyone and attracted the attention of all the large wholesale growers of seed peas in the country. By 1913, Gallatin Valley farmers planted seventeen thousand acres in peas, and three more eastern seed companies opened branches in Bozeman. William Davis broke away from the Jerome B. 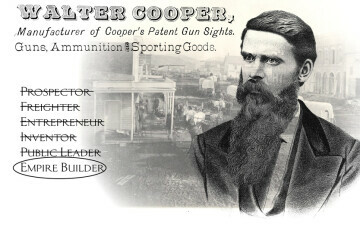 Rice Seed Company and along with another employee, Budge Parker, incorporated the William A. Davis Seed Company. In 1916, Parker and Davis built a new warehouse located at 209 South Wallace. They also established experimental plots nearby as well as on land west of town. Davis was particularly interested in plant breeding and sought to develop better strains of peas. With care, he selected vines and pods of the type he wanted, saved the seeds, then planted and replanted them through many generations. In 1922, Davis abruptly left the area. He took with him the cash reserves of the business, forcing partner Budge Parker to file bankruptcy. After being placed into receivership, Security Bank of Bozeman aided Mr. Parker, and the Gallatin Valley Seed Company was incorporated on September 28, 1922. With the tremendous success of Bozeman’s seed houses and the added possibility of significant wartime profits from federal contracts, local businessmen T.B. Story, Lester P. Work, and L.L. Brotherton incorporated the Bozeman Canning Company as a community stock enterprise in 1917. Aided by the government’s demand for canned goods during World War I, the company’s $60,000 factory opened on North Rouse in 1918 with a successful packing of 16,334 cases. As it seems is often the case here in the Gallatin Valley, the added demand for peas created a perfect intersection of timing and opportunity that greatly benefited area agriculture producers. The cannery needed peas for canning and the seed companies needed seed peas. Much of the ground that was being put into pea production had been producing barley, another early season crop. Barley production supplied local malting and beer businesses, while a large proportion of the grain was exported to Germany for beer production there. Between anti-alcohol sentiment, World War I, and later national prohibition, local barley producers were excited to work with this new pea industry. The Bozeman Canning Company worked with the seed companies that contracted with hundreds of local farmers. Pea season started with the sowing of a few acres the first of May, and then more acres every three to four days until the first of June. Raising peas wasn’t an easy business, they are a delicate plant and susceptible to wind and weeds. Hail storms can be devastating and while they require plenty of moisture, they are susceptible to root rot. From July to September, the cannery hired 250 to 275 field workers. During the early years, most were hired locally and many high school boys worked the fields as “pea roguers,” pulling out “rogue peas” and “mixture peas” that differed from the regular crop. 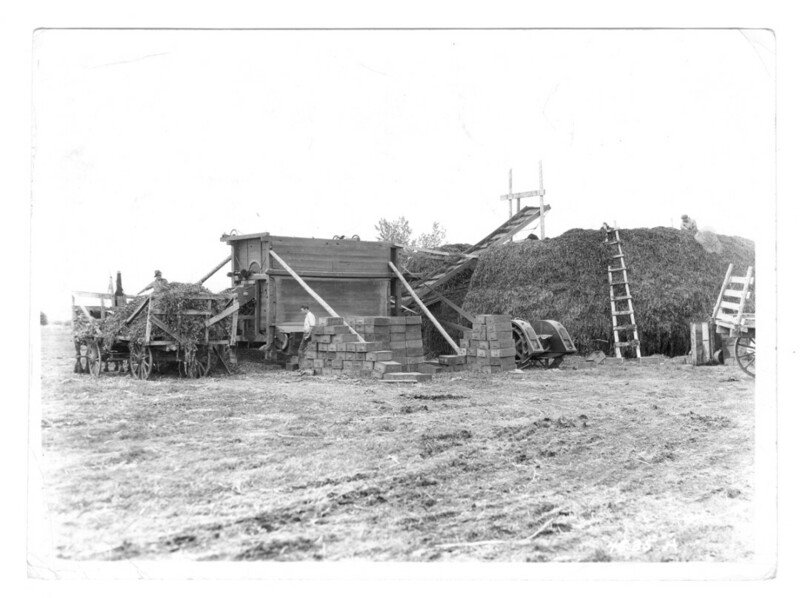 Later, during the war years, Mexican sugar beet workers from Billings worked the pea harvest as this was downtime from sugar beet work. The pea harvest began in late August or early September and lasted for about six weeks. To gather the peas, large mowing machines cut the vines, which were threshed in the field to strip the fruit. Trucks brought the peas to the plant for quick processing as the peas would become mushy or soft within ten to twelve hours after being vined. Some farmers fed the vines to pigs, cattle, and other livestock, while others plowed them under and planted winter wheat. During harvest, processing plants would run fifteen to twenty hours a day. The cannery and seed houses employed over five hundred workers during harvest season, hiring mostly women and children. The women stood or sat at conveyor belts, picking out pebbles, insects, and deformed peas. It was tedious work, but it did have its rewards. During the Great Depression, the women earned thirty cents an hour, which in some cases was the family’s sole income. It also was a chance for women to socialize while they worked. Some of the rural women workers would stay in town with other workers during harvest season, leaving behind the pressures of rural life for a short working vacation where they could enjoy Bozeman city life. The original stockholders of The Bozeman Canning Company experienced financial trouble their first years in business and the cannery closed for a few seasons, mostly due to machinery breakdowns. It reopened in 1925 under the new ownership of Larry Brotherton and Cassius Kirk, who also owned the Brotherton and Kirk Seed Company. During the 1930s, the pea industry was the dominant business in the Gallatin Valley, often referred to as the “seed pea capital of the nation.” Customers nationwide regarded the varieties of seed peas developed and grown in the Gallatin Valley—Perfection, Rocket, Bridger, Surprise, Hyalite, and Alaska—as top-of-the-line. However, there were signs that all was not well. The disadvantages of single crop production were made apparent, foreshadowing the ultimate demise of the pea industry in the Gallatin Valley. As had happened in the East, many farmers grew peas season after season with no secondary crops planted in between to rejuvenate the soil or stop the cycle of bacterial blight. Bacterial blight, a seed-borne pea disease that formed in the soil, moved into the plants and spread from field to field when farmers did not properly clean machines to remove diseased foliage and stems. No chemical was known to fight bacterial blight. Sensing trouble, the cannery temporarily converted its operations and, under the supervision of the Montana Relief Commission, canned meat for families receiving government assistance through Roosevelt’s New Deal. Brotherton and Kirk operated the Bozeman Canning Company until the early 1940s at which time it was renamed Pictsweet. 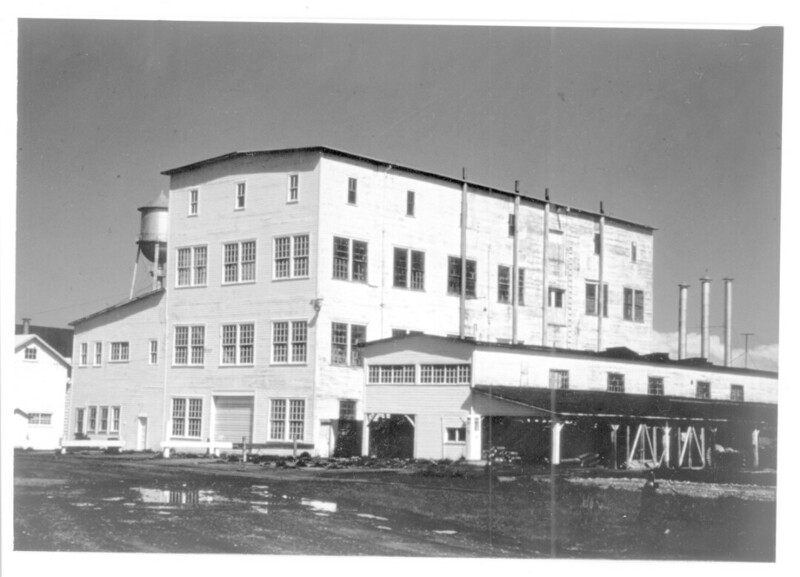 With the outbreak of World War II, the cannery again prospered thanks to government contracts. The Armed Services received thirty-five percent of the goods canned by the company in 1942 and a total of 262,000 cases were packed. Two years later, government demands accounted for fifty percent of Bozeman’s production, but hail and the blight caused such tremendous damage to the crop that the company was unable to meet its quota. The Bozeman Cannery was the beginning of Pictsweet, Inc., which is still in business today with headquarters in Tennessee. In 1948, the Pictsweet Company decided to concentrate on frozen foods, and with expensive freight rates in and out of Bozeman, a decision was made to close the Bozeman plant. 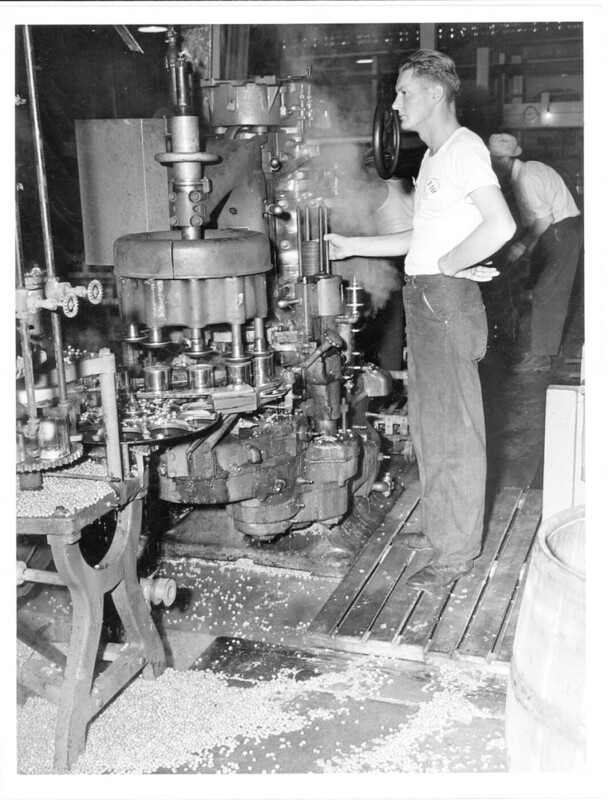 The Bozeman Canning Company reopened again in 1950, under a governing board that included Jack C. Lovelace, Winifred Story Lovelace, and Roy L. Spain. The company limped along, shuffling with out-of-date equipment, poor yields, the high cost of rail shipping to markets, and stiff competition from the frozen foods industry. By 1954, a group of local farmers and businessmen had purchased the Bozeman Canning Company with a $250,000 loan from the Small Business Administration, but market conditions were no better than in previous years. In 1958, the Federal Government foreclosed on the property. Seven years later, the government sold the obsolete equipment at auction to Don Corcoran and Roy L. Spain. At the same time the cannery closed, the valley’s seed pea industry was on its last legs. The only remaining seed company, the Gallatin Valley Seed Company—which traced its roots to the very beginning of the valley’s pea industry in 1911—left the area in 1962. The importance of the pea industry in the historical development of the Gallatin Valley cannot be overstated. In addition to supporting hundreds of local families for nearly half a century, it symbolized Bozeman’s domestic war efforts and played an important role in economic development for local working women. Remember this as you drive past the old Gallatin Valley Seed warehouse on South Wallace or when you see the lighted old water tower in the Bozeman Cannery District. Cindy Shearer is the Executive Director at the Gallatin History Museum in Bozeman and also the Gallatin Historical Society Board President. Visit the Gallatin History Museum at 317 W Main Street in Bozeman, www.gallatinhistorymuseum.org or on Facebook.